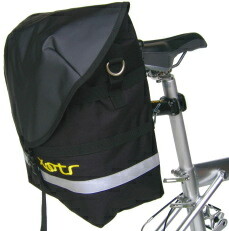 The Xootr CrossRack Cargo Bag is designed especially for the Xootr CrossRack system and offers a secure and comfortable way to carry items with you while using your Xootr push scooter. We recommend purchasing a Xootr CrossRack to accompany this product. Xootr X3 Roma Push Scooter with Fender/Brake – Discontinued!